Don’t overlook this and don’t neglect to do your homework. I’ve been fielding copious inquiries about the bureaucratic processes and hurdles in Italy. I wish I had a simple explanation or could provide consistent advice. But, the vast and ever-changing bureaucratic landscape of the diverse regions leaves me feeling like a dog chasing a speeding car. There are purists “out there.” There are people who have settled into areas to which they’re fiercely loyal. Recently, one of my followers was chastised when networking online for being vigilant in reviewing the key logistical aspects of living in a region as being potential non-starters. I find that unfortunate. After all, successfully making this huge of a life change involves crossing your T’s and dotting your I’s in all aspects of living. So, let’s get started with my recommended checklist as you consider moving to Italy. This list assumes you’ve already narrowed your choices to locations that most speak to your soul from a beauty, food, and people perspective. 1. First, determine your threshold of patience. I believe it’s essential to establish just how much hassle you’re willing to put up with. Of course, life in the States comes with its own headaches and those can vary considerably, like in Italy, by state. But, when you’ve grown up with it and when you’re navigating the bureaucracy in your native language…well, that’s a different animal. Another way of addressing this is by asking yourself how quickly your ire will escalate when things don’t go according to how you think they should go (and how quickly). Some people only understand their threshold once they’re in the thick of navigating the requirements of daily living as an expat in Italy. 2. Get a sense of permesso di soggiorno processing times. This is a BIGGIE. And this is especially where not all regions are created equally. A lot of people search for this topic online in search of a dependable, consistent answer. In my experience, it doesn’t exist. I put the peremsso di soggiorno high on the list because so many other things are dependent on having it, like your residency card from your comune (carta di residenza), your ability to purchase a car, and your ability to travel to and from Italy (especially if you’re transiting another EU country). Then there is the tessera sanitaria (participation in the Italian healthcare system). More on that below. Because I still have a home in Umbria, I hear plenty of stories about the most recent permesso di soggiorno processing times there. Most of them come with a wringing of one’s hands. You see, lately, it hasn’t been unusual for permesso processing time to take nine to ten months. That’s right, nine to ten months for a document that is valid for a year. And they don’t give you an extended validity date when they get it to you so late. This is why the lion’s share of expats in Umbria start queueing up to start the renewal process months before their current permesso expires. As for your first one, be prepared to settle in for a wait and not be able to buy a car or go in and out of Italy if you need to pass through other EU states. When I lived in Umbria, during my first renewal I kept calling the regional office in Perugia (that itself took some patience and tenacity) to finally get someone who could tell me where and why my permesso was taking so long. I was told two things. One was that it was Rome holding it up. The second was that people applying for a permesso di soggiorno on elective residency were put at the bottom of the stack. I’ve since learned that the Rome holdup isn’t exactly true since all regions have to go through Rome for the permesso. In places like Veneto and Abruzzo, permesso processing is usually under three months. BIG difference! So, ask yourself, for a document this critical to your stay in Italy, are you going to be okay staying put and waiting or will you be in a constant state of angst? Your choice of region will have an impact. 3. Understand the process and costs of getting your tessera sanitaria (Italian healthcare). Again, this varies significantly by region and by the person in the office with whom you are dealing. In Veneto and in Abruzzo a person takes their permesso di soggiorno and their carta di identitá and they go to the A.S.L. office to sign up and pay a flat fee (usually around 400 euro) for the full, current calendar year (this is not prorated according to when you sign up). But, in Umbria again, you are charged on a sliding scale (according to your earned income) and they are asking applicants to provide a U.S. Consulate certified 1099 of social security as proof (previously a person would self declare). Don’t ask me what proof is required if you’re in Umbria but aren’t drawing social security yet. I’m still looking for the answer to that question (please educate me if you know!). So, your tessera can run into several thousand euros a year or several hundred. You want to know how much of a dent healthcare is going to take out of your funds, don’t you? Then there is the whole timing/cycle of keeping your tessera sanitaria current (this is universal to all regions). When you’re on a yearly cycle of renewing your permesso di soggiorno you’d best get used to the dates of validity not lining up. As stated above, the tessera sanitaria is always a calendar year thing, whereas your permesso aligns with your initial elective residency visa validity dates. If you land in Italy with a ERV date of early May, that’s when your permesso’s validity date starts. In a region like Umbria you can be at a standstill for applying for your tessera sanitaria for quite a while. I’m not meaning to pick on Umbria, because it IS an extraordinarily beautiful region with amazing food and some of the sweetest people you’ll ever meet. I’m just trying to give you a sense of what you will have to weigh when making your final decision. Lastly, the A.S.L office normally issues your tessera sanitaria for the current year to end with either the end of your permesso validity or the end of the calendar year. That means clearing your schedule in early January to make sure you’re covered ASAP for the next year. AND, if your existing permesso expires in a few months, don’t be surprised if they only issue your card reflecting validity through that date. Then you have come back with the renewal card or renewal receipt for them to update your tessara. They may give you a few extra months if you just have the renewal receipt, obliging you to return to the office again once you have the real deal. The good news is that once you’ve paid for the year, you’re good. You just have to endure the hassle of going back to the A.S.L. office. If you’re moving to Italy you’ll find healthcare to be quite good in most places. Still, some regions don’t have stellar reputations for quick and quality care if you have a serious illness. I won’t cast aspersions in this regard because you can sleep well knowing that in most of Italy this isn’t a concern. But, do get used to a different process of making your way through the system. Some things might not happen with the speed you’d like but you can always opt to pay a bit extra (not like in the States which ends up being a LOT more) to get into a specialist earlier. Also, consider what you’ll do if you’re in a remote location and have a medical emergency. Yes, you can always call an ambulance but if it’s not a true take-me-to-the-hospital emergency, and you’re too sick to drive yourself to la guarda medica (urgent care) you’ll have to call and state your situation to a guarda medica office. The good news is that they actually will send a doctor to your house, but you may have to be persistent. We did in Umbria once when we both had a nasty stomach bug that left us incapacitated and progressively more dehydrated. When the nice doctor arrived and gave us our shots to stop the carnage, I was surprised and immensely grateful. 5. Understand the quality and cost of comune services. In Umbria, I pay over $400 a year in rubbish tax. There IS no trash pick up at my house. I have to haul my non-recyclables about 75 meters down the street to a dumpster. For all recyclables, I have to DRIVE them to the bottom of the mountain (almost a mile) and sort them in the containers there. I’m okay with the leg work. I’m not keen on paying so much to do most of the work myself. 6. Know what you’ll pay and get for water, electricity, and internet. The first two are pretty straightforward, but depending on where you decide to reside you may have to go and camp out at a utility office that has sparse hours of doing business. Thankfully more utilities are upping their online offerings, making the process more expedient. And, deregulation is making things more competitive. For my water in Umbria, I used to have to go to an office in Cittá di Castello. Last time I tried to go there I found a notice saying that they no longer were open for customers and that I’d have to drive 45 kilometers to Perugia. Yikes! Perhaps they’ve fixed their online presence, but I’m not holding my breath. As for the internet, unless you are wanting to cut the cord on connectivity or can live with a feeble internet connection, many rural locations don’t offer any real service through phone lines or otherwise. We explored the existing phone lines in Umbria and after the phone company tested our signal, it barely had a heartbeat. Thus, we opted for a receiver on top of the tiled roof pointing in the direction of a single transmission tower across the valley. Most of the time the signal is sufficient for basic stuff (even some Netflix streaming) but often times it vanishes suddenly. Thunderstorms can leave me without a signal for several hours. I share this with you in particular because I get REALLY cranky when my internet doesn’t function. It’s great to have a home remotely located in the country, but this often is a price you pay. And, telephone services. Yikes. I use Vodafone for my mobile. We don’t have a functioning landline. I once switched to TIM after hearing that Vodafone was pulling out of maintaining a tower in the valley. Guess what? The TIM signal was non-existent and, oddly enough, Vodafone remained the only workable option, and I switched back. 7. 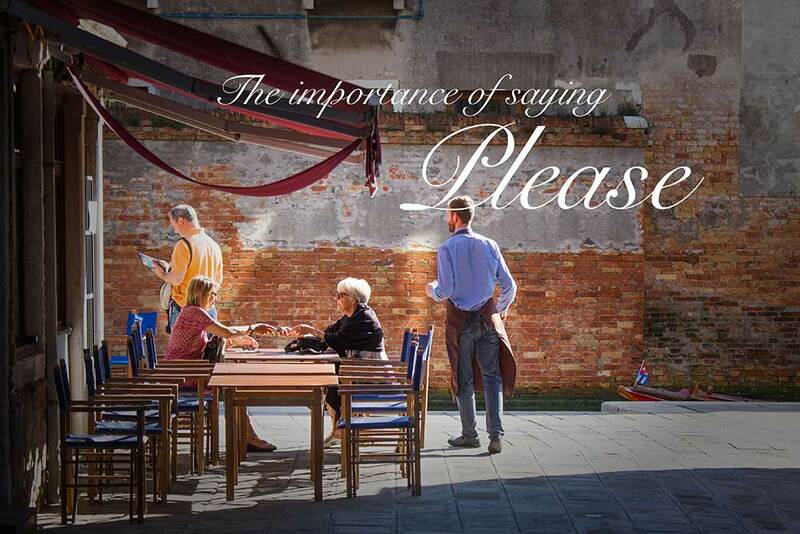 Looking for a big safety net of other expats or wanting to really live the Italian culture? This doesn’t have to be an “either-or” type of thing. But, if you really want to immerse yourself in the Italian culture often times that means pushing you out of your comfort zone and away from all that is familiar. Finding sanctuary in the company of expats, of people who’ve traveled the path of ahead of you, can be of immense value. Just don’t let that be a crutch. It can be as I can attest from personal experience. But, this is a highly personal matter, so just think about what you want the quality of your life in Italy to be like in this regard. Okay, I think I’ve thrown enough at you in this week’s post. I hope I didn’t freak you out and lose you along the way by enumerating all of these logistical considerations. I’m still here in Italy. I’ve not once thought about turning back. BUT, in retrospect, I wish I had dug a bit further into several of these issues to know just what I was signing up for. I just kept figuring it all out, and perhaps that is a good thing—you know, just take it in pieces rather than overwhelm yourself? That IS a strategy, but one that comes with the risk of landing in a region that ends up not being the right fit for the big picture. Hello Jed! Just found your site and love this post. We have become Italian citizens recently through JS (and JM for me) and currently traveling Italy for our one-year adventure to explore regions we have yet to see. We are wanting to live part-time in Italy and using this year to try and determine – where. Not really wanting to purchase a car, we rely on train travel. Hope by the end of November we can come to some idea and narrow down our list. Thank you for a great post and now following you. You can join our journey at ouritalianjourney.com. We’d love to have you along! I’m so glad you found my site and enjoyed this post! Congratulations on becoming Italian citizens. What a great year you will have researching and exploring the many diverse options here in Italy. I suspect you will have a hard time narrowing your choices! This is just fascinating. I remember going with you to some office about a permit — I think it was your peremsso di soggiorno renewal — and how rude the official was and how polite and apologetic you had to be for “troubling” her to do her job. I was just boiling! But you are right — we have plenty of hoops to jump through in this country that we have grown up with and become accustomed to, and the rural internet is pretty lousy in lots of this country. I don’t have plans to move abroad, but I still enjoyed reading this post, and it makes me respect the chance you took even more! Ciao, dear friend! I’d forgotten about that day and the woman at the questura. They CAN be a bit gruff at times, but I do my best to give them a get-out-of-jail-card because of how many people and stay permit applications they are processing——all while funding for these services seems to keep being whittled away. Veneto functions more robustly because it is more populated and better funded (it’s one of the wealthier areas of Italy). I’d like to think it would be more of a consistent experience, but it’s not. I’m getting in the habit of asking people in other regions about their specific experiences because they can vary that significantly! Thanks for your encouragement. Italy is not always easy but the benefits far outweigh the challenges! Hi Jed, “Don’t neglect to do your homework” is the best advice ever! And yet, even if you do your homework, expect lots of surprises and glitches! This is my first comment here since moving to Italy about 3 months ago. It’s been difficult, starting with a very serious bout of the flu my first month in Italy. Baptism by fire! I got to experience the Italian healthcare system much sooner than I thought I would. I’ll mention something you left out that might become important for someone planning to come to Italy: the tax situation. Italy’s taxes are higher than the US, in general, but there are specific tax breaks for newcomers that don’t seem to be well publicized. Even if you talk to an Italian Commercialista he or she may not know or tell you about these. That was my situation. I just found out about a new (this year) flat tax of 7% for newcomers (primarily aimed at retirees), but the catch is that you have to establish residency in an approved region, including Abruzzo, southern Italy, Sardinia and Sicily, and in a town with less than 20,000 people. I was almost ready to sign a long-term lease for an apartment in Tuscany when I learned about the tax regime, and I decided to do a very fast change of location to Abruzzo. This is an example of no matter how much research you do ahead of time (I did a lot of research on the tax situation), expect surprises. I am generally a planner, and I had my departure well-choreographed, but I’m glad I left some things about how and where I was going to live in Italy to chance. If I had pre-arranged an apartment in northern Italy, like I was originally planning, it would have been a costly mistake. Even outside of the financial considerations, unless someone has traveled in Italy many times, expect that it’s not going to be what you expect! Actually living in Italy is different from vacationing in Italy. I wasted money and time on the first Italian language school I attended because they insisted teaching me like they teach all American tourists. When you need to sign up for cell phone service, tourist Italian is not going to help you. Tourist Italian is no good in the Ufficio Postale when you go in to try to figure out how to pay a bill. Tourist Italian is useless when trying to communicate with a doctor who speaks no English. Italy will continue to unfold for me in unexpected ways, and that’s the reason I’m here. It’s an adventure. Adventures have good and bad, easy and hard. This is a one-way trip for me; I’m not going back to the US. I came with 3 dogs, but I didn’t know another person here. I’ve discovered an incredibly helpful network of expats online and on the ground! I’ve discovered the kindness of strangers, a priceless gift in today’s world. Thanks for adding to the conversation with these insights. I purposely stay away from tax issues and advice given that everyone has a different situation (I lean heavily on my Italian commercialista and my American accountant). But, this new flat tax is valuable information that people might want to pursue with their commercialista! Brava for being such a dedicated adventurer and for bringing your three canine children with you. Sorry to hear that you had to deal with a nasty flu. Hopefully you’re solidly on the other side of that! I’m so happy you wrote! Please stay in touch and share any other pearls of wisdom you deem helpful for people following in our footsteps! Thanks, Nancy for the Umbria update. Yes, I do think they make up things as they go along. Just recently I was asking an expat in Abruzzo about the Integration Agreement and she said “Huh?” She been living in Italy and renewing her permesso for years and NO integration agreement. Maybe that is something else enforced differently by region. Crazy, isn’t it?